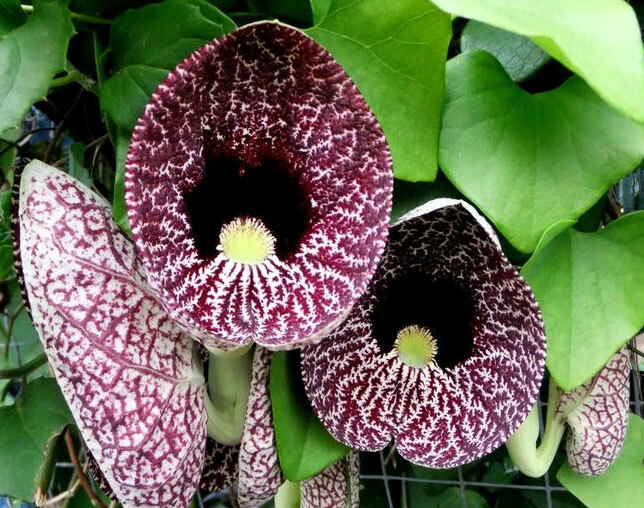 This is Aristolochia elegans, also known as Elegant Dutchmans Pipe, and Calico Flower. 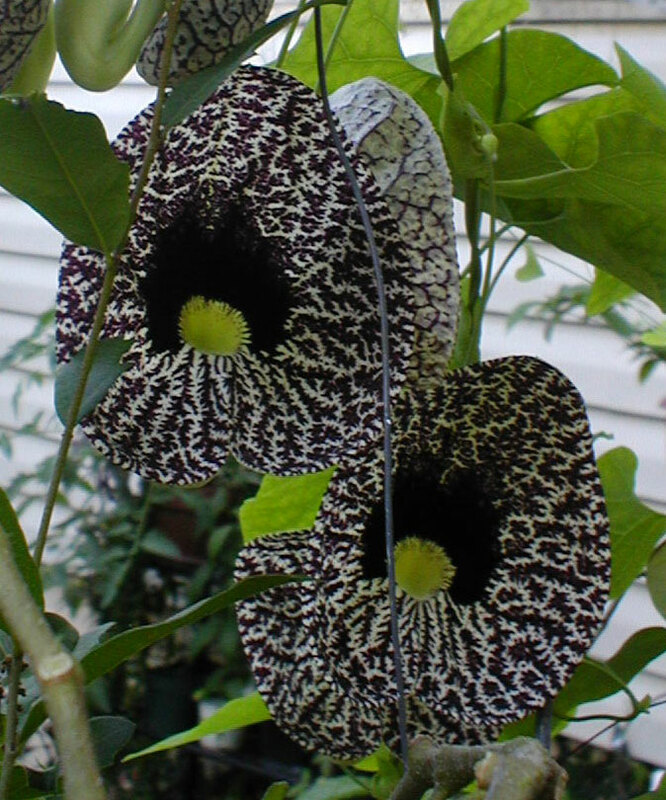 This vine attracts a wide variety of bees, birds, and butterflies. 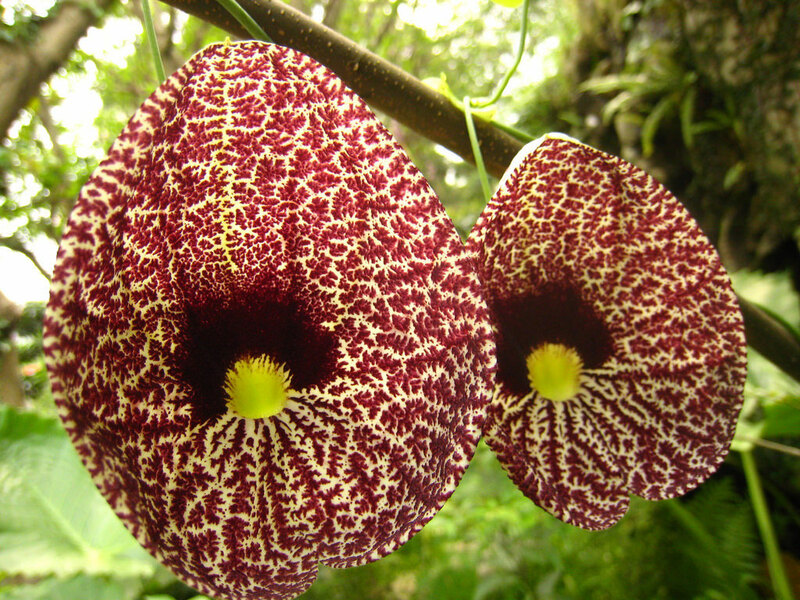 This plant likes to live in light shade where it blooms most of the year. 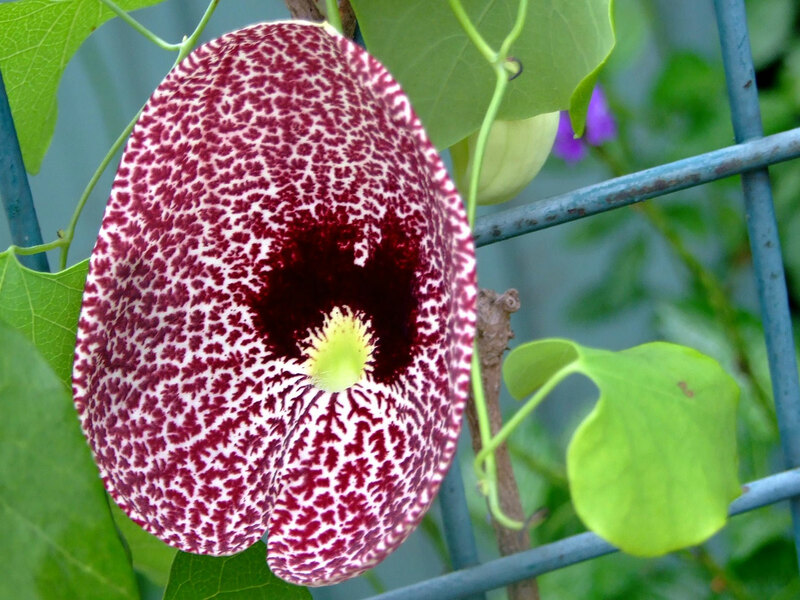 All Aristolochia species, except for the Aristolochia gigantea, are larval host plants for the Pipevine Swallowtail, Polydamas Swallowtail, and Mylotes Cattleheart butterflies. 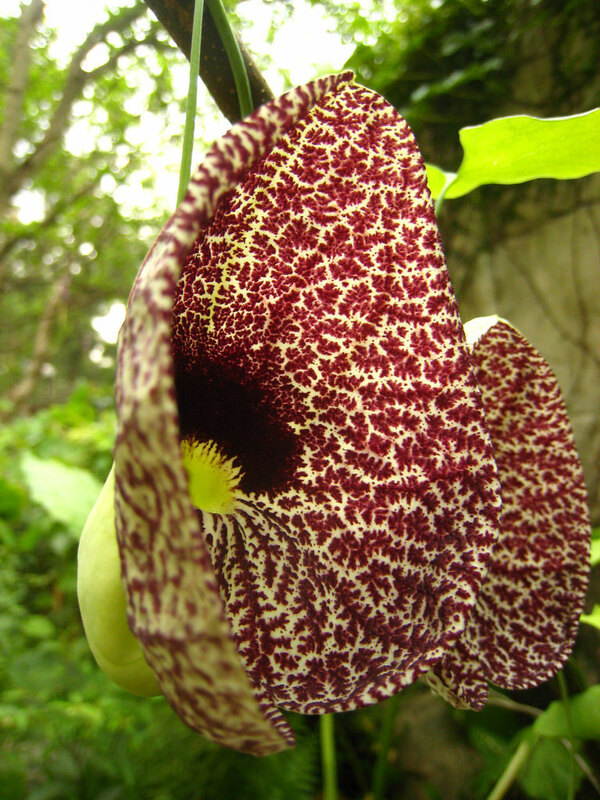 USDA Hardiness Zone 8 to 10.